We are instrumental in manufacturing, exporting, and supplying Jelly Filled Telephone Cables in national and international markets. The Jelly Filled Telephone Cables offered by us are specially fabricated using high-grade raw materials, with the help of technologically advanced tools and machinery. 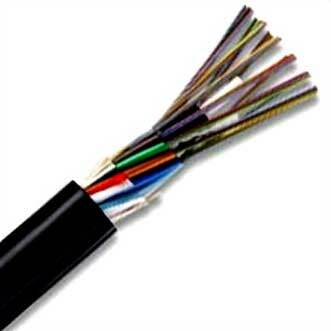 These Jelly Filled Telephone Cables find their application in various industrial and domestic sectors. Additionally, these Jelly Filled Telephone Cables are available at very moderate prices.